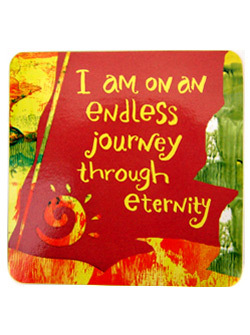 “I am on an endless journey through eternity.” This affirmation card empowers me. It reflects my belief that my husband and I planned for our paths to cross during this particular part of a spiritual journey and play “married.” When our agreement was completed, he decided to go Home for awhile, rest, and plan more of his dream journey. We’ll probably travel together again sometime and play some other game.